Taking your dog hiking is the perfect opportunity to bond and spend some quality time in nature, away from daily stress and problems. It is also a great idea to exercise more, change your lifestyle, and ultimately become more active. However, don’t plan on packing your luggage just yet. Not all dogs may be responsive to your idea of outdoor bonding, so you need to make sure your pet is on board as well. Here are some tips and tricks to improve cooperation with your pawed friend and make sure you will both enjoy the trip. Don’t assume your pup is going to be excited to walk and run behind you for 100 miles without some previous training. Dogs can be very picky and moody so, if you don’t want to end up carrying some extra 20-50 pounds in your arms, you need to make sure your pet is up for the challenge. We suggest starting with mild walks in the park and a few jogging sessions. This will help improve your dog’s endurance and make it more willing to go on this journey with you. You could also take smaller trips and push your pet a little harder each time, without getting it exhausted after just a couple of miles. 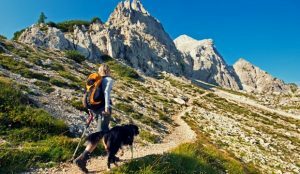 Another crucial aspect to take into account before planning your hiking trip is the health of your pooch. If we are talking about a cub or senior dogs, keep in mind that they will get tired easily and may not be able to go hiking with you. We suggest going for a full vet examination to see if your pet has any health problems you should be aware of or if it needs any medication. 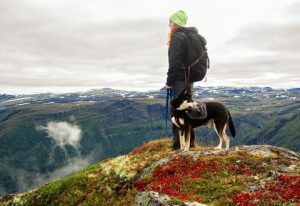 Obese or overweight pooches will get tired faster so taking them on a hiking trip may not be the best solution. The same thing goes for pups that are recovering after surgeries or other delicate medical problems. Although walking and breathing fresh air will be good for your pet, putting too much pressure on the legs, heart or lungs may lead to unwanted complications. Another aspect you should be taking into account is your dog’s sports equipment. You may have packed your fleece sweaters, hiking boots, and gloves, but what about your pawed friend? If you are going hiking in early spring or late autumn, it would be best to prepare a comfortable pair of dog winter boots for your pet. You could also take a hooded fleece dog winter jacket that will keep your pup away from low temperatures, rain, and snow. Although dogs have thick fur, you don’t want your furry pet to catch a nasty cold afterward. 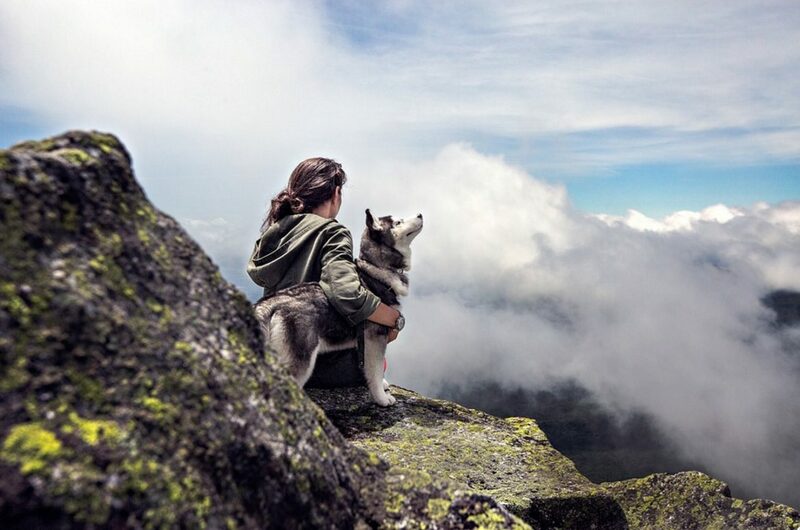 Taking your dog hiking also means you have to be prepared with food, water, and even some treats to keep away hunger and have enough energy to make it to the top of the mountain. We suggest bringing along kibbles or dry, canned food instead of wet food as the latter tends to be messier and can spill in your backpack on the way. Depending on the size of your dog, pack at least another 60-ounce bottle of water to make sure it won’t get thirsty, especially during the summertime. Collapsible bowls work wonders as they won’t occupy too much space in your luggage and will help you feed your pup the right amount of food to keep it energized. Consider some low-sugar and organic treats or snacks such as dental sticks, dried fruits, fresh veggies or even the regular snacks you can get from pet shops. We do suggest opting for organic ones to avoid bowel problems or food poisoning. Keep in mind that your puppy might get a sensitive stomach during the trip. No matter if you go into the woods or choose a pet-friendly path, you will still have to clean after your pet. This means bringing at least a few poop bags with you and using them after your animal finished the potty business. It is important to keep the woods and the environment clean, and this means not leaving traces. Although most poop bags are biodegradable, don’t dispose of them on the side of the road. 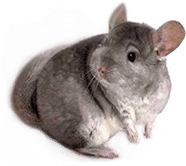 Learn to clean after your pet no matter where you are, and this includes carrying the dirtbags with you until you find a bin. The woods and pretty much any outdoor activity can be dangerous to you and your pet, so be cautious. Therefore, you should be able to treat any superficial wounds or cuts using some basic tools from your first-aid pet kit. Bring some vitamins, antibiotics, band-aids, a pair of scissors and a pair of tweezers, as well as peroxide oxygen to clean wounds. And, if your dog is under current medical treatment, don’t forget to also bring its medicines. If your dog is big and healthy enough to go hiking with you, it is big enough to be responsible as well. This means you can put some of your pet’s essentials in a small bag and have it carry it. It will teach your pet how to act responsibly and even help it do some mild cardio to stay healthy. However, make sure you have the right bag for your pet. Help it try on various models and look closely for any signs of discomfort and pain. Don’t pick heavy bags or uncomfortable ones that might be too loose or too tight. After deciding on a certain pack, have your dog wear it for a few times around the house until it gets used to it. You should also talk to a veterinarian about the maximum recommended weight your dog can carry.